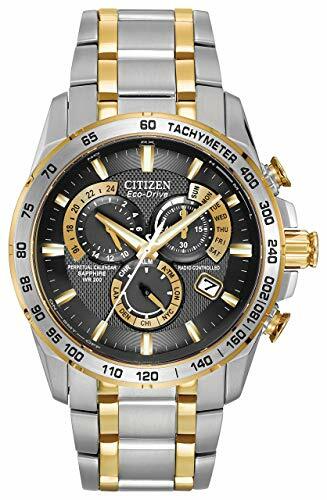 Citizen is an electronics company with its fame and name primarily being acquainted with the watches they manufacture and engineer. For nearly a century, Citizen has grown throughout the world achieving unparalleled recognition as a global brand. Recently, the company has risen to be one of the world’s largest watchmaker, a distinction that Citizen has proudly embraced every year since 1986. Beyond their sheer size, Citizen is also recognized as a worldwide leader in technology. From one of the world’s slim LCD watches to the first voice recognition watch and the professional dive watch with an electronic depth sensor is unmatched, with models ranging from dress to sport to professional dive watches. In 2007, Citizen introduced the first radio-controlled atomic time-keeping watches to the world. With the presentation of the Eco-Drive satellite wave at Baselword 2011, Citizen has re-affirmed its position as a worldwide leader in timekeeping technology. To get a better understanding of this tech, we will address a few main concepts and then review a variety of eco-drive watches. Eco-drive is basically a model range of watches engineered to possess the capability of being powered by any type of light source, be it natural or artificial and further manufactured and marketed worldwide by one of the largest watch-making companies i.e Citizen Watch Co. Ltd. This range of watches pioneered by Citizen and first introduced in 1996, had left the previous generation of solar powered watches in the dust by equipping introducing several yet visionary technical refinements over the previous solar powered watches by incorporating light-capturing cells that are virtually invisible behind the dial, allowing us to move away from the highly conspicuous design of standard solar powered watches. 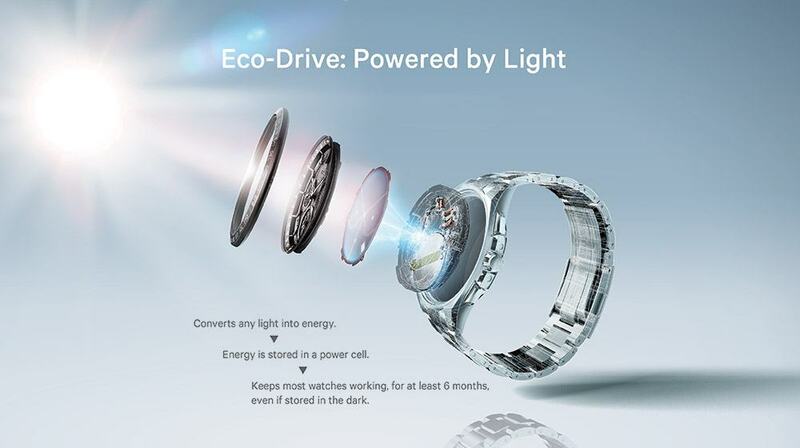 Eco-drive primarily utilizes light which is converted to energy and stored in the rechargeable cell present beneath the solar conversion panel of the watch. The Eco-Drive energy cell is not affected by the conventional charge and discharge cycle of normal batteries or cells. As the name suggests, The Eco-Drive batteries are environmentally friendly and easy to recycle as they do not the chemicals found in most batteries used by the majority of the watches. The Eco-Drive Energy cell is engineered with the prospects of being long-lasting and to withstand the enthalpy of time. These energy cells, when taken care of and used properly, would never allow the need for them to be replaced. 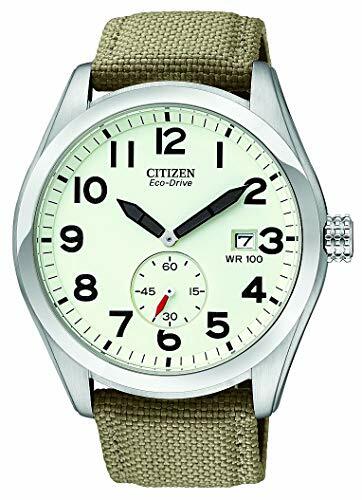 Not only that, Citizen’s eco-drive technology is not shackled and restrained to only being able to utilize natural sunlight, but on the contrary, any source of light be it natural or artificial can power the Eco-Drive cell and one full charge can last you up to 6 months before the watchpoints out the low battery. How to Charge the Citizen Eco-Drive? The Citizen Eco-Drive is not a technological anomaly or a mystery, although it uses better-engineered components it still uses the conventional way of juicing up its batteries. To charge the Citizen Eco-Drive, you can use both natural sunlight and artificial light as a power source by just exposing the timepiece to either of the light sources. But it is important to mention that the time it takes to fully charge the batteries is very dependant on the light source you have opted for. Basically, recharge times will vary based on your timepiece and the type of light utilized, and as you can infer, direct sunlight is the fastest and the most efficient light source for charging while the charging time for artificial light sources vary greatly and cannot be comprehensively listed. How Much is a Citizen Eco-Drive Watch? The watches in Citizen’s Eco-Drive collection are built with the best materials and functionalities. As such, the watches can range from a simple classic Eco-Drive watch costing anywhere between £100 to £300, to a high-end Eco-drive watch jam-packed with functionalities such as power saving, light level indicator, alarm, chronographs and insufficient charge warnings and the appearance and aesthetics also matching the price range of such watches from anywhere between £800 to £1000. 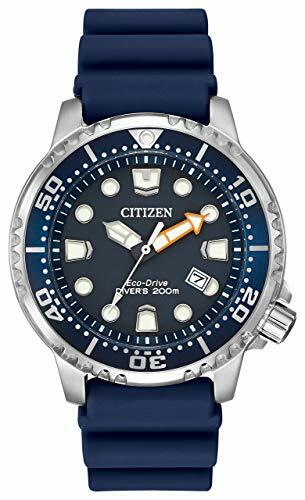 On the contrary, A good middle ranged Eco-Drive watch can be very affordable and we will review and select the top 10 Eco-Drive watches from Citizen in today’s list. In the special Eco-Drive watch review as the topic of our today’s list, The CA4348-01E has made it to the top 10 with a fantastic price tag. This affordable watch from Citizen proudly possesses the Eco-Drive technology while being an attractive yet practical watch. The CA4348-01E is rather minimalistic in aesthetic as it is not too big but still, it feels rather substantial with a quality feel to its weight. Moreover, the C4348-01E looked classy without having the need to be a Rolex. Overall, a very great quality solar powered timepiece for the price it asks for, definitely a must-try if you haven’t owned an Eco-Drive watch yet and feel reluctant spending a huge amount on one. 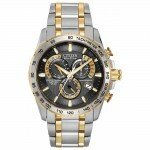 The Citizen CA4348-01E can be the potential verdict on whether it would suit your taste or not. So be sure to give it a try. 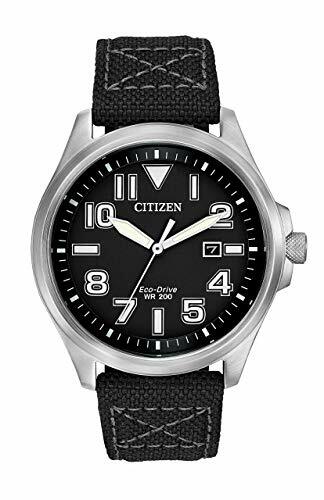 On our Citizen Eco-Drive Watch Review of the BV1080-18A, the watch proves the credibility of Citizen’s claim of manufacturing quality watches withstanding the test of time to accompany you as long you would want. The Eco-Drive technology makes this watch save you from the occasional trips to the shops for a new pair of batteries. The BV1080-18A is equipped with Japanese Quartz movement over its wonderful classic analog display. watch, you have no reason to worry about those sophisticated batteries and solar panels because they’re well protected by Citizen’s credible and sturdy build along with the fool-proof warranty of 5 years. This Eco-Drive watch is the best casual choice to go for if the Eco-Drive tech has piqued your interest. The Citizen AW1410-08E has solid build quality, easy to read and a smart appearance. Moreover, it also gives the same ambiance as to that of a military watch. For people that prefer military watches, The Citizen AW1410-08E ticks all the boxes that a military watch should. Featuring Japanese precision Quartz Movement, the Eco-Drive tech rules out the only disadvantage Quartz Movement watches have and that is the battery. Citizen’s Eco-Drive technology provides more than enough usability and power that the need to go for replacing the battery never makes its way to your to-do-list. The Citizen Eco-Drive AW1410-08E costs less than an average automatic timepiece of the same aesthetics or quality allowing you the choice to save a pretty penny and is leagues ahead of a standard solar power watch in terms of performance, functionality, durability, and lifespan. 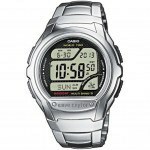 Overall, A good solar powered watch, nothing unnecessary and does what is needed very well. As discussed before, Citizen eco-drive is fuelled by light, and not just some specific light, any kind of light can become a power source for its battery. The Two-Tone BM8454-93A makes use of the eco-drive functionality very effectively. 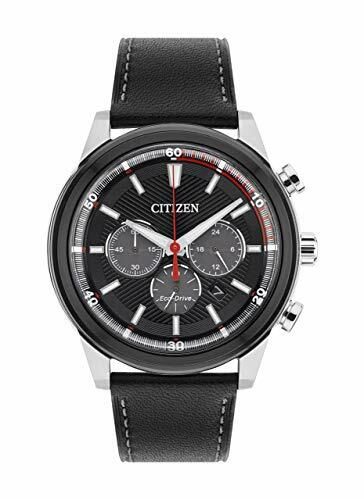 The time-piece is relatively minimalistic when compared to the other competitors at its price range but this minimalistic design is part of Citizen’s classic aesthetic so it’s to be expected in a positive connotation. The watch takes full advantage of the eco-drive tech by featuring the precise Quartz movement which is known for being taxing on conventional batteries and cells in watches that choose to incorporate it, but the Citizen can completely ignore this as seen in the BM8454-93A by virtue of this amazing technology. 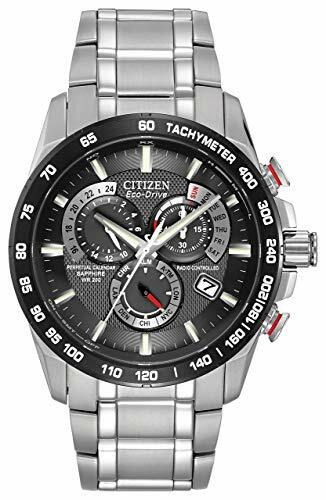 Now moving forward to more specific details on Citizen’s eco-drive watch review, the expandable band on the BM8454-93A can be comfortable for big hands or wrists, but if you are a size contrary to that, it will probably take a few links to be removed before it fits. Throughout months of owning this wonderfully classic toned time-piece with its gold-tinted accent, it proves to keep time very well. Overall, it’s a smart looking watch which is easy to set up and the gold accent over the shiny silver stainless steel looks classy. A fairly good watch for a fair price. Powered by Citizen’s eco-drive technology, The Nighthawk stands out from the rest of the crowd with its all matte black design. The styling is somewhat different from the rest of the eco-drive watches we have reviewed but this aesthetic is the main attraction of Citizen’s choice in the color palate for their watches and I must say, personally, I absolutely love it. The dial is protected by mineral glass window lens with water resistance up to 660 ft. The watch comes with the favorite quartz precise movement as with all the eco-drive watches. A common misconception with many people is that because of the murky design, the numerals can be difficult to see. Contrary to that, the face charged with a decent torch, end up having the numerals and hands illuminate just as good as any other citizen watch. The nighthawk’s dials and hands are easy to read in daylight and the performance under the green semi-covert illumination is brilliant. The Nighthawk is a gorgeous watch with a fine appeal of it’s murky and jet-black design. Although the Eco-Drive BN0151-09L’s strap leaves much to be wanted, the watch itself, however, is absolutely wonderful. The strap can be irritating or pinching after hours of wear, but after replacing the strap with one of your choices, the timepiece can be rid of all the flaws it has. The watch is quite robust in both build quality and durability of its dial window, and the screw-down crown is reassuringly solid. Moreover, the dial is very clear and easy to read and the luminous markers remain lustrous throughout the dark summer nights because of the special solar-powered luminescent hands. The Diver’s watch is water resistant up to 200m so you can be assured of its safety when taking it together with you for some casual snorkeling. From the blue dial to the chunky face, it looks absolutely fantastic. This watch is the perfect mix of a stylish watch and a diver’s watch as some other watches of the same pedigree was seen to be either overly large in size or overly embellished and in this watch’s case, it has the perfect balance between the two. 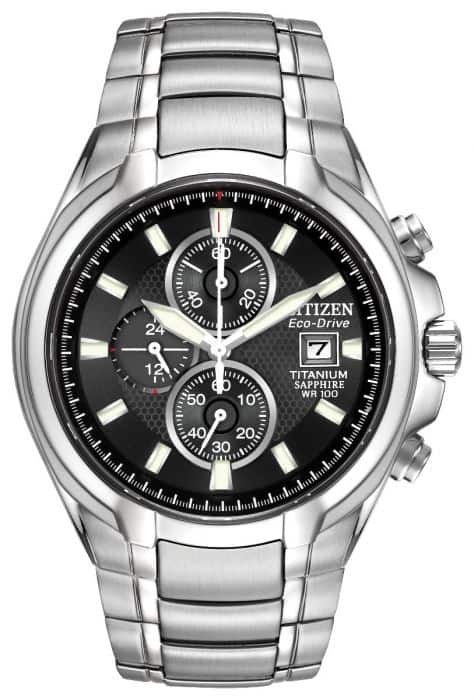 This Citizen Eco-Drive Perpetual Calendar Alarm Chronograph with Day-Date is radio controlled in 5 time zones. It has a One-second chronograph measuring up to 60 minutes and features a Non-Reflective Sapphire Glass. The Eco-Drive tech in the AT4000-02E is paired with the quartz precision atomic timekeeping, a deadly combo in my opinion. It is a quiet understated classy watch coupled with pale blue-green luminous hands and markers. The genuine leather band with the black color scheme partnered with the gleaming silver and black dial adds more to this beauty and aesthetic of this amazing timepiece. The crown is just beside the 4 positions and has a solid satisfying clicky feel to it. The radio-controlled atomic timekeeping allows you to experience the incredible precision and accuracy of Citizen’s cutting-edge technology with never having to adjust the time EVER. Automatic watches of the same price tag have a necessary timekeeping error of a few seconds which becomes evident over the period of a few months but the Eco-Drive’s long-lasting battery technology coupled with atomic timekeeping in the chronograph AT4000-02E gives the ultimate experience of never having to worry about the batteries and never toiling to adjust the time after the monthly periods one would normally have to on other watches. 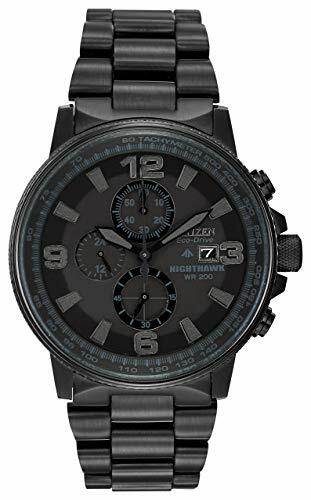 A must buy a watch if you are into Citizen’s Eco-Drive collection and are looking for something that has more to offer than the general timepiece. This watch like its twin model, the AT4000-02E has the same aesthetic design and features in the dial but the main aspect which allows us to tell the two apart is the stainless-steel strap attached to the murky colored dial followed with a slight tint of red along the screws beside the crown and also noticeable in a few hands on the dial. This change in accent albeit rather insignificant in many people’s opinion is a game changer when considering the design of this amazing eco-drive watch. The features, as included in its twin model, encompass the attributes of a high quality and functionality eco-drive watches such as Atomic timekeeping, Precise Quartz Movement, Protective and robust sapphire glass window lens, chronograph, radio-controlled atomic time zones, power saver indicator, and luminescent dial and hands. A high-quality watch without a doubt, comfortable to wear and satisfied with its claim to its functionality. The Citizen Eco-Drive watch features a silver titanium bracelet and all the high-end features of Citizen’s Eco-Drive collection. This watch implements Citizen’s proprietary surface hardening technology, Duratect in crafting super titanium which is 5 times harder than regular stainless steel. Moreover, the titanium bracelet is approx. 40% lighter than other stainless-steel bracelets making it even more comfortable and classy to wear. The solar-powered luminescent dials and hands keep their lustrous glory even through the dark. The Eco-Drive Titanium is a great smart and practical watch which is comfortable to wear and not too crowded on the dial. Moreover, the biggest relief in this watch is the crown which does not have a screw-down mechanic resulting in the changing of the time/date a much smoother experience. This stainless-steel watch with a black dial interface complimented with the rich gold accent over the body of the watch is just an incredible sight to behold. 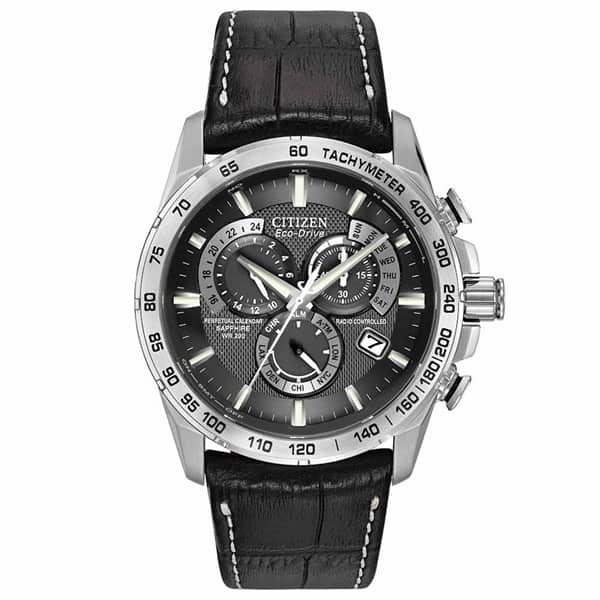 This eco-drive watch has all the premium features of Citizen’s eco-drive collection. Namely, Perpetual Calendar, Chronograph, Atomic Timekeeping, Alarm, Power level indicator, Power reserve indicator and the astounding Non-Reflective Sapphire glass which eases the visibility of the dial and the ever so lasting moving hands when the watch is exposed in the sunlight as it will almost always be. 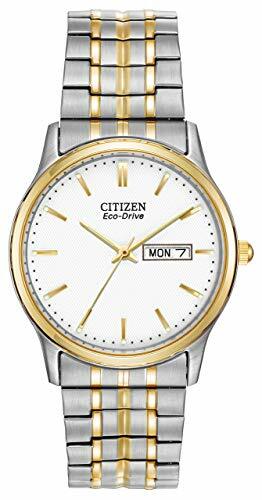 So, the reflection on typical watches due to the incident sunlight hindering you from looking at the dial won’t be a problem in the Citizen AT4004-52E. The watch features an internal calendar, the hands and 12 markers glow in brilliantly in the dark and it looks handsomely stylish. Overall an amazing watch. Should You Buy the Eco-Drive Watch? From the careful review of these 10 eco-drive watches, I hope that you can gather some insight on what these watches are and what they have to offer. If you feel reluctant on spending on one knowing you may not like it, then consider choosing a cheap option, who knows, you may soon change your mind! All in all, the eco-drive tech in these amazing watches is just the sweet icing over this grand cake. 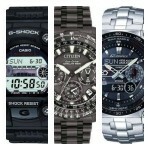 These watches should definitely be given a chance as they are worth it in my opinion. I hope that going through today’s list, you find yourself a good eco-drive watch that matches your style, taste, and budget. As always, let me know about your thoughts on this list of Eco-Drive watches in the comments section below. I look forward to your feedback!